Ably organizes the message traffic within applications into named channels. Clients attach to channels to subscribe to messages, and every message publishes to a unique channel broadcast to Ably subscribers. This enables clients to be aware of other clients who are “present” on other channels. Each client has a client identifier and connection identifier. There are other options you can add to see other statuses and attributes as well. This presence is great for building applications that focus on multiplayer games. This allows users to see who is and isn’t in the chat. 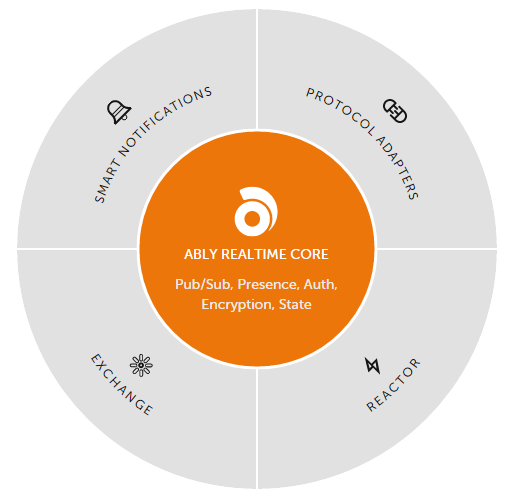 Ably supports built-in symmetric encryption for message content. When TLS is enabled, messages are securely sent and received from Ably. That means they can never be decrypted by Ably, and can only be decrypted by other clients that share the same key as you. When a client disconnects abruptly, Ably realtime client will automatically try to reconnect the user every 15 seconds. It will continue this process for up to two minutes to recover the client’s connection.